The machine adopts ISO International Code, Keyboard Manual Date input, it is also provided with program of power cut-off protection and the functions of automatic diagnosis,and with Rs232 interface. Longitudinal and cross feeds are effected by ball leadscrews. Either vertical or horizontal 4-station or 6-station tool post organg tools can be selected. The post is located on precision contrite gears with a high repeated positioning accuracy. 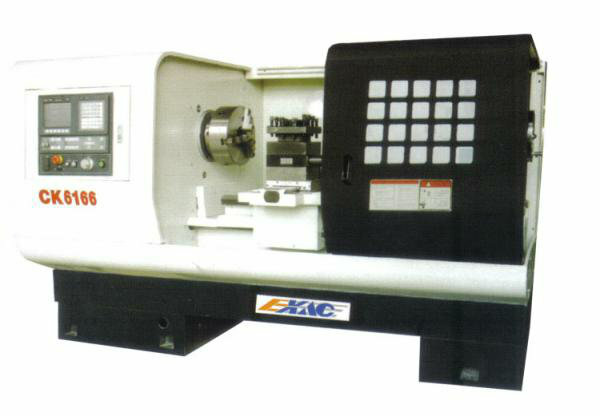 Both chuck and tailstock are supplied with hydraulic or manual type. The surface of the bedways is supersonic frequency handened and precision ground with a long service life. The spindle bore size is 105mm. the spindle system is high in the rigidity and accuracy.